To go to Jomtien Beach is quite easy and there are a number of cheap alternatives. 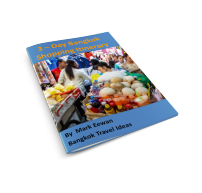 Take the Bangkok Skytrain to the Ekkamai station and walk down stairs to the bus station. 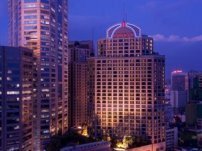 To make sure you exit on the correct side of Sukhumvit Road just look over the balcony first for the traffic lights and you will see the buses coming out of the bus station on the left hand side. Approximately, every 40 minutes air conditioned buses depart to Jomtien via the Pattaya bus terminal and then you can take the songtaew over to Jomtien Beach. The buses run from 5:30am to 9.00pm. For detailed information tel: +66 (0) 2391 9829. Non air-conditioned buses depart to Jomtien every 30 minutes from 05:00 to 21:00. A single ticket will cost approximately 135 Baht. Make your way to the Pattaya bus terminal and approximately every hour air-conditioned buses depart to Ekkamai. Expect to pay upwards of 3500 Baht and the same for the return journey. This should include tolls. Expect to pay 2000-2500 Baht, but you should enquire as to whether this includes tolls or not. There are plenty of kiosks in Jomtien offering return travel to Bangkok. Expect to pay 1200 Baht plus your tolls. There are lots of drivers looking for a return fare, that is why it is cheaper. You can take a mini van to Jomtien. If you get off the skytrain at Victory Monument station and then go and look for the van going to Jomtien. You will see that there are dozens of vans like this one, so you will need to ask someone, pay your money and the van will leave when full. 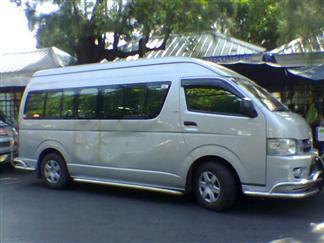 The price of the van to Jomtien should be about 150 Baht, but the price could vary, depending upon your attitude. The van will be quicker than the bus and is a good mid-priced option if you only have carry on luggage. 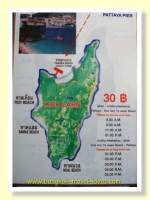 If you want to drive yourself from Bangkok to Jomtien beach then this map will help you. The beach in Jomtien is quieter than Pattaya. If you are not sure which hotel to stay in Jomtien then may I suggest a reasonable hotel with a great swimming pool, that is just across from the beach. 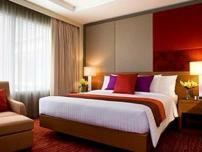 Read more details and traveller reviews from Agoda about the Jomtien Palm Beach Hotel.